Evidence for Hope written by Kathryn Sikkink, published by Princeton University Press, emphasizes that there is no need for human rights activists to be pessimistic. What they need to do, however, is to maintain positive fervor, hold on tightly to the human rights flags and follow through with their agenda. In her book, Sikkink offers a ‘futuristic prescription’ for upholding human rights and democratic principles of liberty and equality. human rights, Kathryn Sikkink, activism, legitimacy. The modern world is a ticking time bomb: journalists are being murdered and expelled, human rights activists detained, people all over the world are faced with violent oppression. Add to this Myanmar’s Rohingaya Muslim genocide, Israel and Palestinian conflict, human rights abuse in Nicaragua, war crimes in Yemen, and you will see why modern democracy is about to explode. In this pessimistic scenario, we need more books like Evidence for Hope by Kathryn Sikkink . Sikkink’s name in human rights movement requires no introduction. Her book Evidence for Hope: Making Human Rights Work in the 21st Century published by Princeton University Press, is an attempt to explain that we have no reason to give in to depths of despair. What we need to do instead is to maintain positive fervor, hold on tightly to the human rights flags and carry on with our agenda. In her book, Sikkink offers a ‘futuristic prescription’ for supporting democracy and principles of liberty and equality. The author presents her message through very well structured, logical narration. The book consists of four parts and addresses two main reasons of pessimism among human rights activists: attacks on human rights movement’s legitimacy, on the one hand, and effectiveness of human rights laws and institutions, on the other. In her book, Sikkink mentions four types of actors who articulate their critiques: firstly, governments that do not want to be held responsible for human rights violation; secondly, general public who believes that human rights activists are ineffective; thirdly, academics who criticize human rights laws and institutions; and fourthly, human rights activists themselves who worry about the lack of perceivable progress. The author believes that criticism does not 634 НАУЧНЫЕ РЕЦЕНЗИИ Gupta S. RUDN Journal of Political Science, 2018, 20 (4), 634-636 contribute to the development of human rights and she reiterates that one must accept the current disorder and chaos of human rights practices and institutions because, compared to the state of affairs before, significant progress has been made. Part I (Chapter 1 and 2) of the book consists of the introduction and overview, where the author shares her mother’s experience in fighting for civil rights. In her young years, there were only three careers Sikkink’s mother could aspire to: a nurse, a secretary or a teacher. However, the author’s mother gave her children the liberty to become whatever they wanted to be. Sikkink mentions that she owes a debt to the feminist movement for opening space for women in academia. Part II (Chapter 3 & 4) of the book delves into the question of legitimacy of human rights, studies the diverse origin of human rights movement and its struggle during the Cold War times. 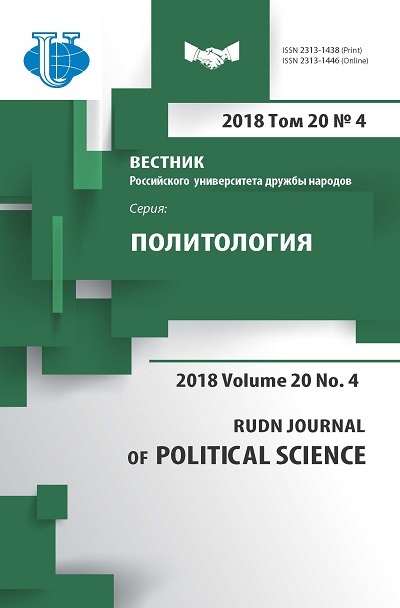 In Part III (Chapter 5 and 6), the author presents her assessment of human rights progress based on a comprehensive analysis of human rights data. Sikkink acknowledges that there are some human rights issues that have experienced worsening over a period of time, such as the Rohingaya genocide. On the other hand, there have been many instances where the situation is improving, including a declining use of the death penalty and improvements in equality for women. Part IV (Chapter 7: Conclusion) looks into the development of the human rights movement in the 21st century. Later in the book, the author also talks about ethics in the field of human rights. Sikkink has been influenced by some ideas of philosopher Albert Hirschman and believes that “human rights provide a morally defensible starting place for talking about progressive change in the world”. An optimist, the author argues that in spite of a great number of challenges that the human rights movement has encountered, there is room for hope. Generally human rights activists tend to become pessimistic when their efforts do not bring about any tangible changes. However, the author calls for hope and patience, mentioning that she had witnessed drastic changes and significant progress of the human rights movement in her lifetime and is hoping to see more of those changes in the future. Sikkink’s book is a remarkable contribution to the development of human rights movement. She asks for the critics to reassess the way they evaluate effectiveness of human rights activists. While it is human nature to see the faults rather than accomplishments, and while there has been evidence that some conditions have worsened in regards to human rights, there have also been significant improvements, and the positive impact of the human rights movement is undeniable. The author writes: “My purpose is not to cheerlead for the human rights movement, but rather to provide it with the best advice about what works and what doesn’t and to explain how and why change takes so long”. Sikkink’s book is a promise to all those who have become disheartened and lost their faith in the human rights movement. Sikkink provides a response to all doubters and pessimists, giving them reason to hope and encouraging them to set to work with renewed vigor. She sends out a powerful message, providing enough ‘evidence for hope’ and pointing out a new path, which will be our inspiration and motivation. Copyright (c) 2018 Gupta S.